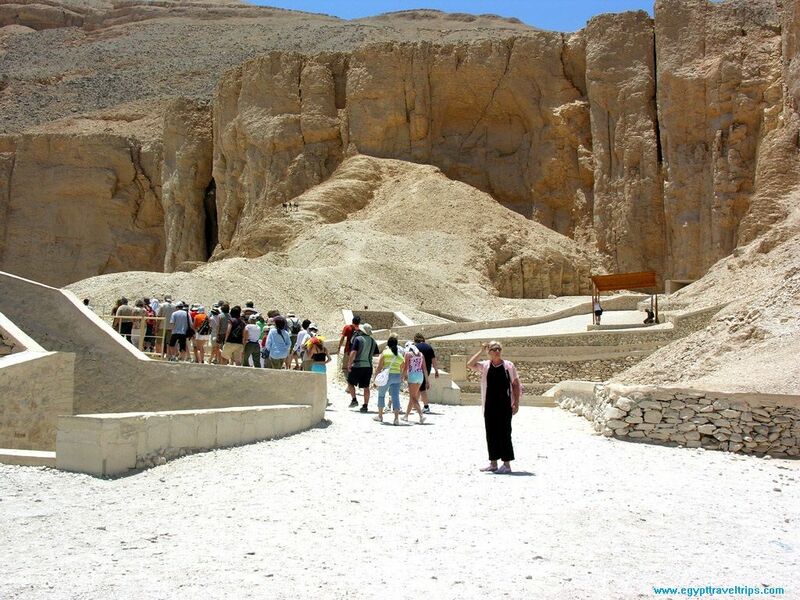 Our representative will pick you up by A/C vehicle from your hotel in Dahab to transfer you to Sharm Airport for your flight to Luxor. 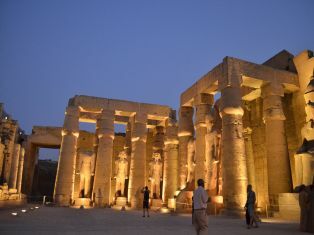 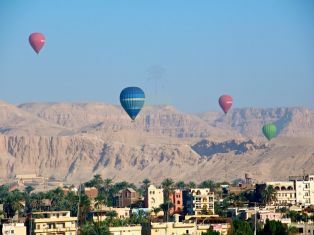 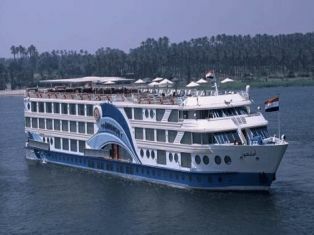 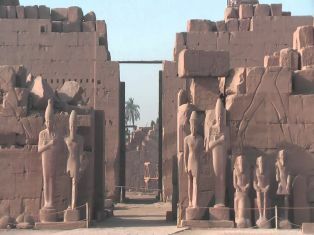 When you have arrived in Luxor International Airport our guide will be waiting to meet and assist you to accompany you on your visit to the west bank where you can see the valley of the kings, the great and majestic necropolis of the millions of years of the pharaohs, in the Valley there are 62 Tombs. 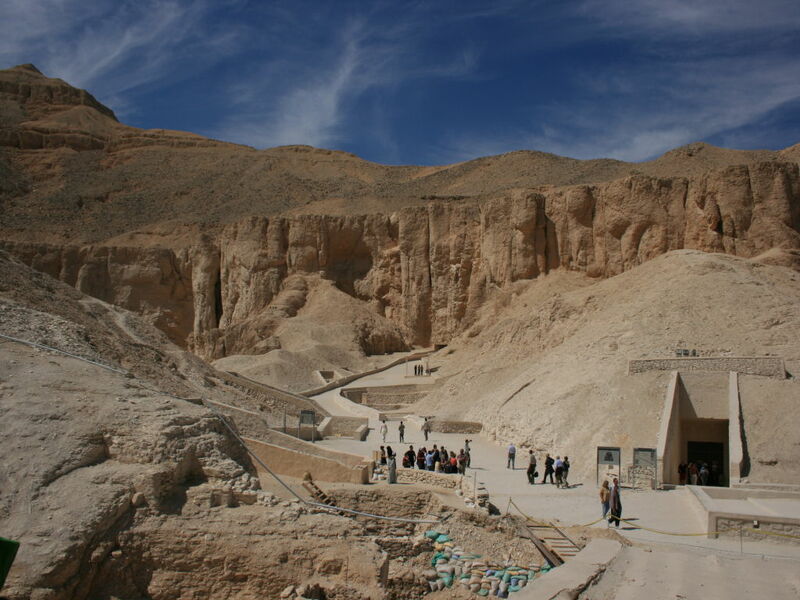 Continue on to visit the fabulous Temple of Queen hatshepsut , who was the 1st queen in history to send a diplomatic expedition to the land of punt ( somalia ) . 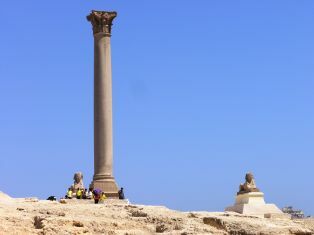 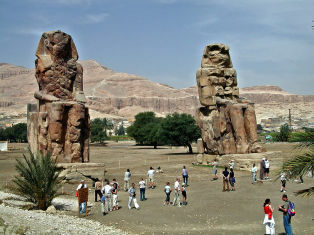 We now proceed on to the Colossi of Memnon the 2 huge statues where you have the great opportunity to take some photographs..After finishing the tours in the west bank you will be transferred back to the east bank to enjoy a welcome lunch break. 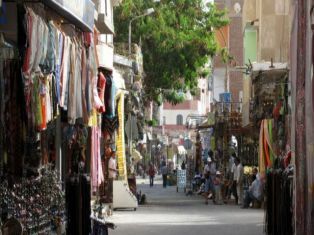 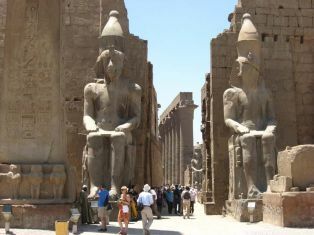 After enjoying your lunch carry on to visit the glorious Karnak Temples , the largest religious structure the world has ever known covers a truly massive area of about 60 acres . 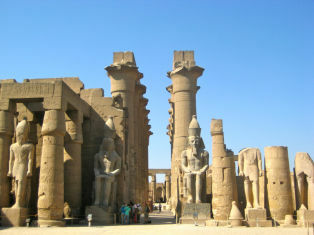 Karnak temples are considered to be a history book stating the history of egypt from the middle kingdom to the ptolemaic period , which was dedicated to the god amon-re , his consort mut and their son khonsu After this truly interesting visit you will be transferred to Luxor International Airport for your flight to Sharm-El-Shiekh after which you will return to your Hotel in Dahab.